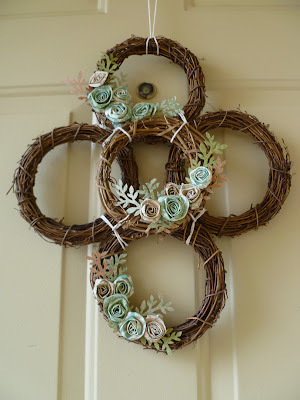 I had several mini wreaths (the kind you get at Michael's for .79) that I'd been meaning to put together in some kind of arrangement for our front door. Even though we've lived in our apartment for 10 months, I hadn't gotten around to putting anything up. 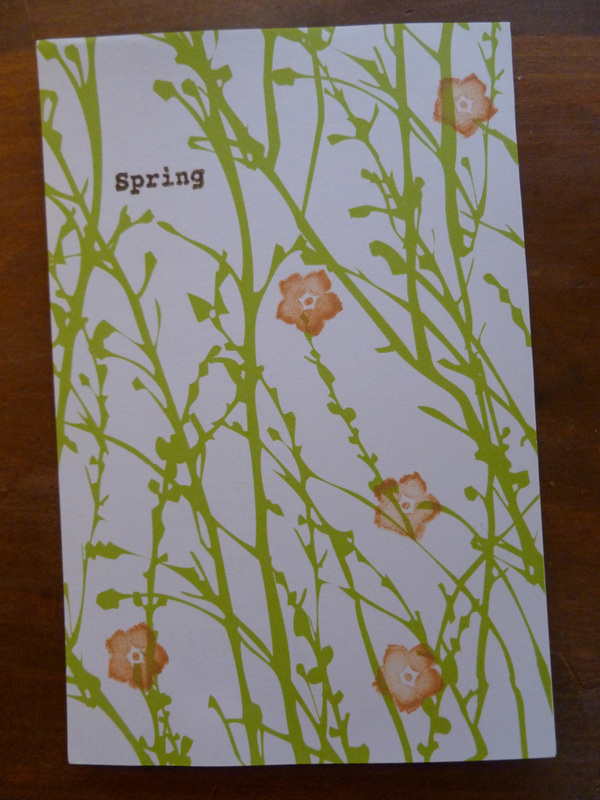 So finally, this week I made this sweet and subtle little spring beauty. Taking these pictures was also a good incentive to WASH our front door. I had no idea it was so filthy! 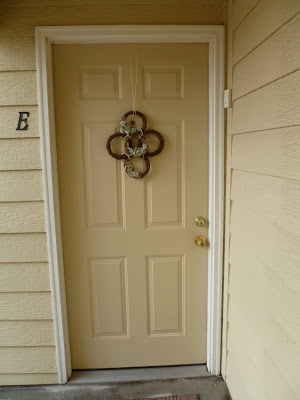 Have you looked at your front door lately? Oh, and yes, I hung the wreath with twine. It might be a little ghetto, but I think it looks cute...and we don't have a wreath hanger...and I didn't feel like paying for one. 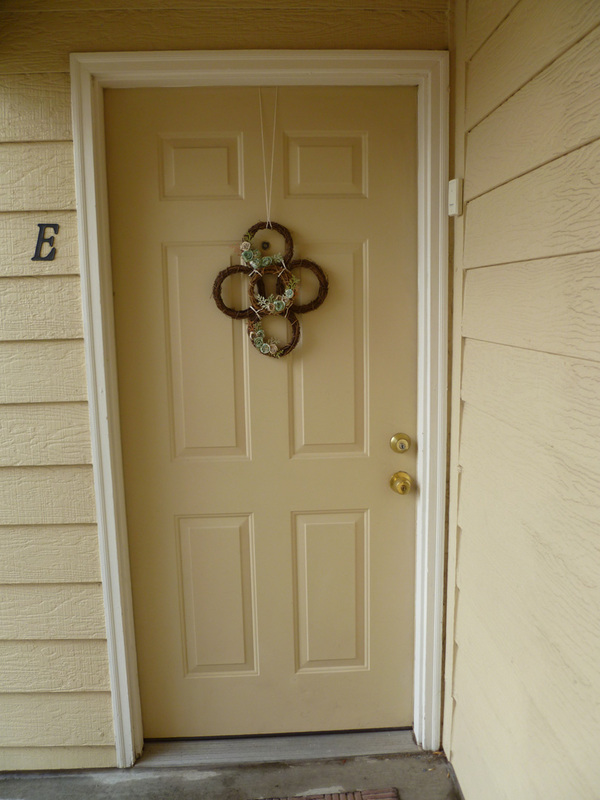 This is actually the back door, but it's the door that gets used the most often. As I was working, I got to thinking about other possible ways to spruce up this area. I think the next thing is to get a pretty mat. Any other ideas? Linked up to...Tatertots and Jello, Sassy Sites, and Thirty Handmade Days, and Just a Girl. I work with flowers every chance I get, which includes doing wedding flowers (I'm up to 10 weddings!). However, when it came time for my own wedding, I didn't want to do my own. I knew I could, but I didn't want the stress. I also knew my mom would do a beautiful job, but I didn't want her to have to stress either. I didn't know what to do. Our budget was small, and we weren't having a fancy wedding anyway...but I did want beautiful flowers. That's when a couple of heroic family members stepped in and offered to pay to have my flowers done professionally. I was ecstatic! I hurried myself down to what I think is the prettiest flower shop (Sturtz and Copland) in the Boulder area, and met with a lovely woman named Rebecca. All I can say is that she was fabulous to work with, and did a fabulous job. I was so pleased with everything! I'm still totally in love with my bouquet. And this picture fills me with joy every time I look at it. It looks like it could be from a magazine. Rebecca also did a fabulous job with my husband's boutonniere. His main request was for cool-looking orchids. Looked great with his tie. which meant that there were plenty of wildflowers too. Husband and I both loved our wedding so much. 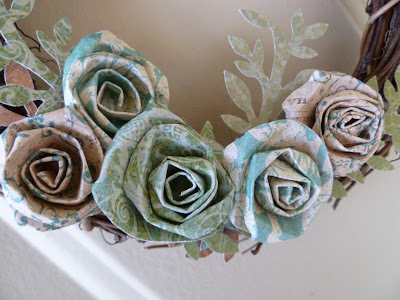 Today I'm a guest over at Designer Garden. 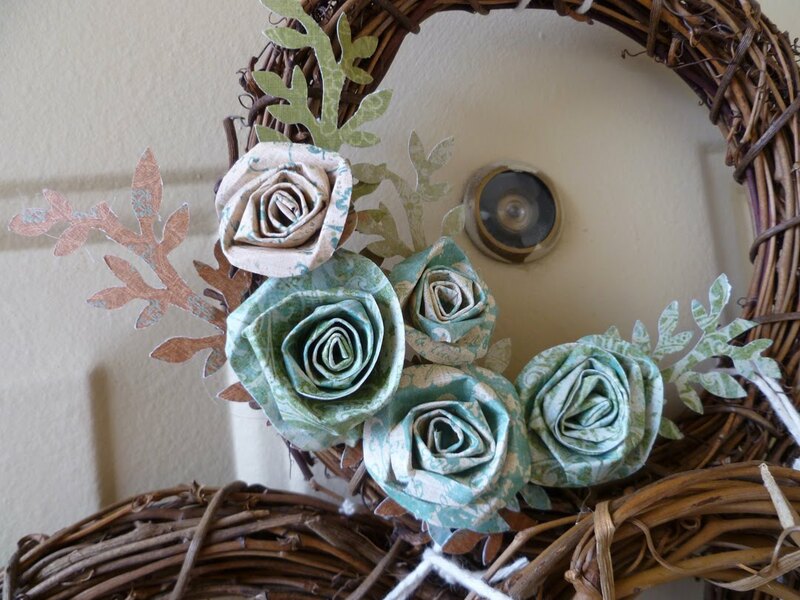 There's a fun paper flower tutorial, and giveaway. 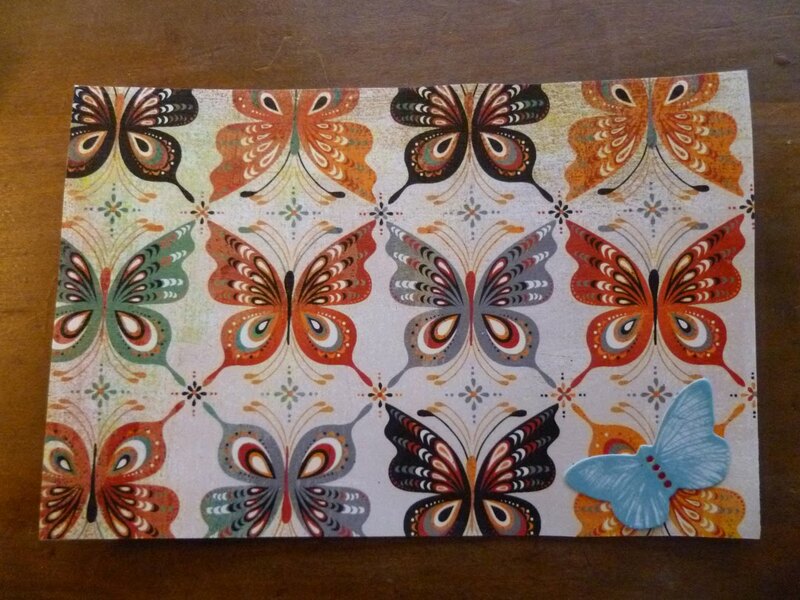 Lately I've been discovering the joy of making my own postcards. I'm having so much fun! 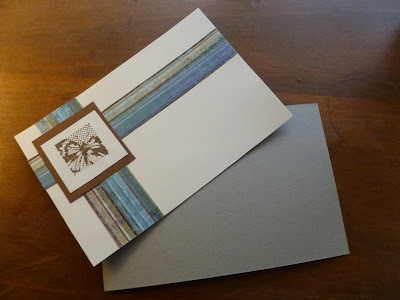 They combine my love for covering things with paper, stamping, and upcycling. I've been salvaging suitable cardboard bits from cereal boxes, the backing that our postage stamps came in, and envelope boxes that my husband brought home from work (he really supports my crafting). Linked up to the DIY Showoff's Project Parade. It's a gorgeous day in Colorado. 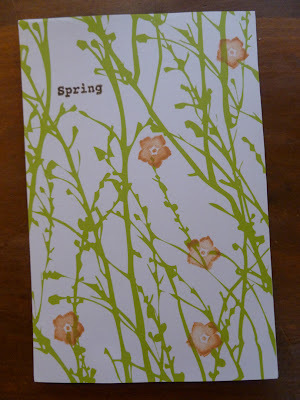 I love making cards, and spring is the perfect inspiration. The stamps are from Husband for my birthday (he got me a bunch of them), and the branch paper punch was a gift from my MIL. 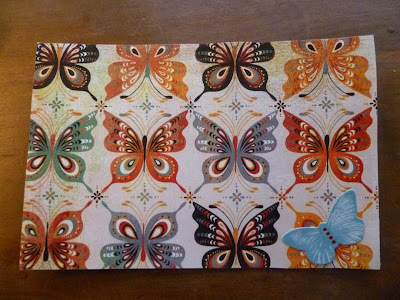 One of my goals in life is to cover as many surfaces as possible with pretty paper. This post is linked up to the DIY Showoff's Project Parade. I bought this little bird shape for a dollar at Michael's the other day. I knew I wanted to do something with it, but I wasn't sure what. I let it sit around for several weeks, until yesterday when I saw Husband"s roll of twine sitting out (who am I kidding, I usurped it months ago, and I'm the one who left it out). I grabbed my MP, and this is just sorta what happened while we were watching Stargate Universe episodes last night (yeah, Husband and I are nerdy like that). I love the way it turned out! 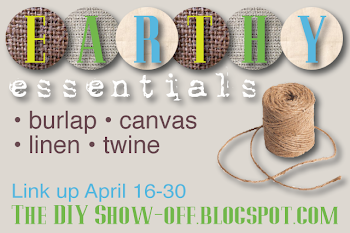 This post is linked up to the DIY Showoff's earthly essentials party. and Designer Garden's VIP party. We didn't make it to the gardens today, so I took pictures of what's blooming around our apartment complex, and at home. 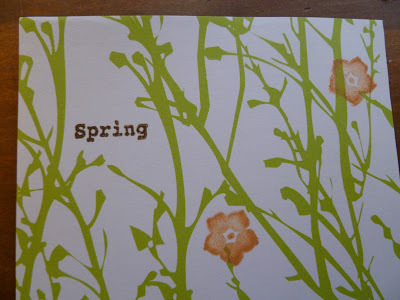 I'm completely enamored by spring. Blooming trees just do something good for the heart. I don't know what kind of bush this is, but it's pretty. This year we planted some herbs. These ones are about a ten days old. Our pansies have grown quite a bit in the two weeks since we planted them. 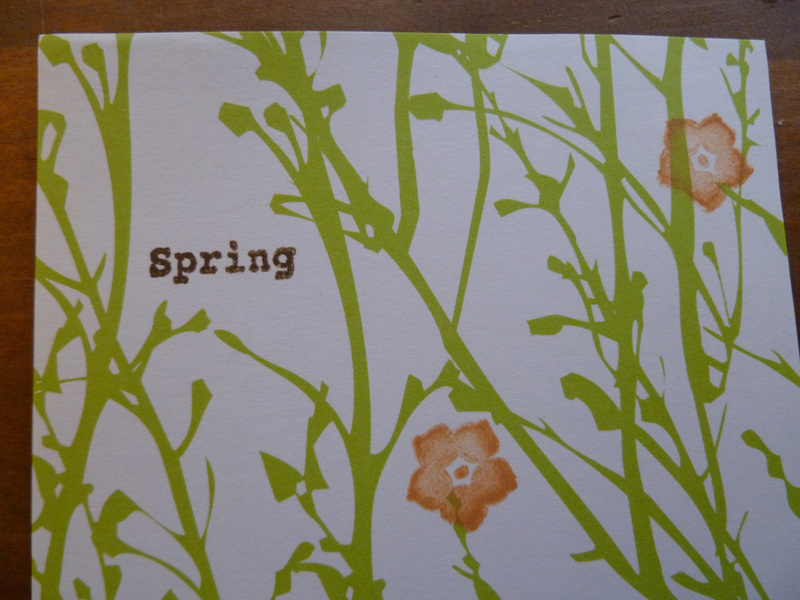 I hope you're enjoying spring, wherever you are. I'm looking forward to sharing several new projects this week. I think perhaps one of the very best feelings in life is for a heart to be known and loved. I had a birthday on Tuesday, and several people showed me this kind of love, and I feel so blessed to be known. From my in-laws, books that I've been wanting to read for a while. bits for me to play with, and a Jo-Ann's card. From my husband, adorable clear bird and flower stamps, colorful new ink pads, a lovely tree paper punch, and a box of Cadbury Eggs (one of my very favorite candies). From my mom, a lovely and intriguing piece of milk glass. And from my dad, a gorgeous bouquet of flowers. and dip my fingers into new talents. Here, it is...the book page sphere tutorial! I found this book at Goodwill. It's a devotional from the 50's. Step 1. Tear your book pages into strips/squares. Step 2. Put MP on strips. It might curl a little when you put in on, but that's okay. Normally I recommend putting MP on the surface first, but in the case it's easier to put it on the paper first. Step 3. Lay the strips on the ball. Step 4. Put your hand over the strip, and press the paper down onto the ball. You'll get these wonderful crinkles. This page had some underlines, which adds to the charm. Plus, it's just a good proverb to remember. It looks even better if the edges of the pages are aged. I felt lucky to find this book. I like to leave key words showing. It was easy to do with these pages because each day of the devotional has a larger title. 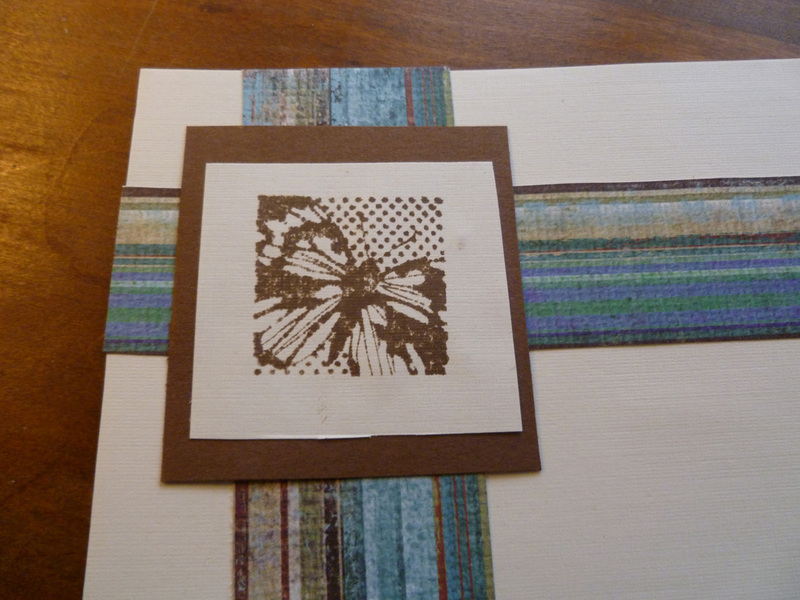 Here's one with pretty paper. When the ball is completely covered, you can podge over all of it, but I like to leave it off most of the time. And you're done! Super easy, right? Now find something pretty to put them in. This was the view from my crafting desk this morning. It snowed, but not much. Now that spring has really sprung, I don't really mind a light snow. It won't last. *Be sure to scroll down and see the map version! This post is linked up to Sassy Sites.